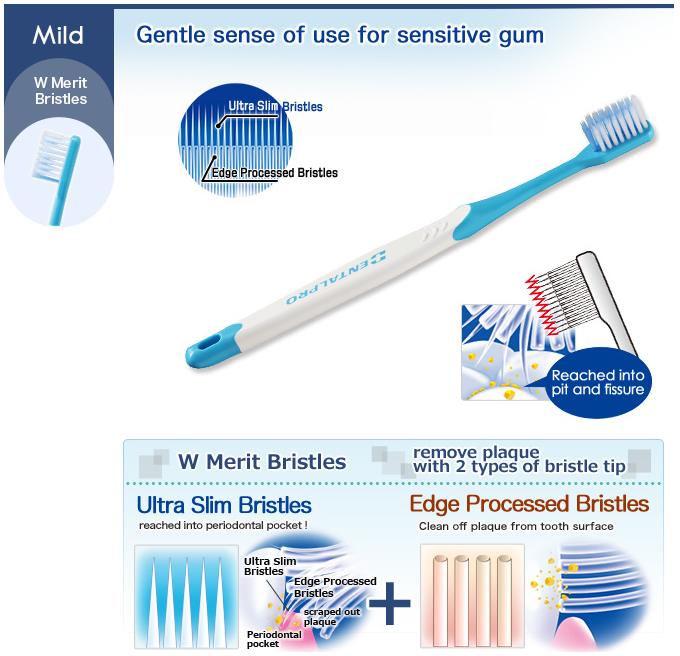 3 types of W to againts periodontal disease. 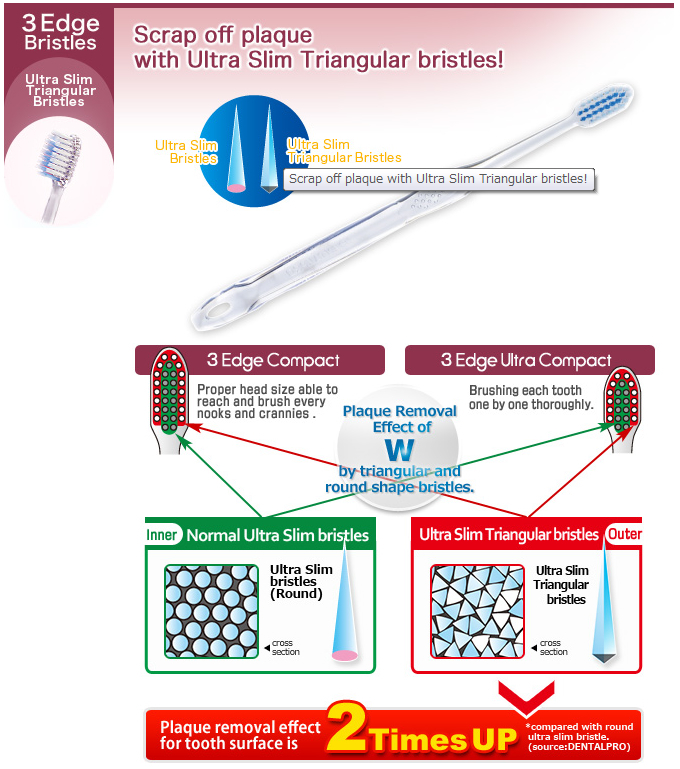 Double step bristles effectively remove plaque! 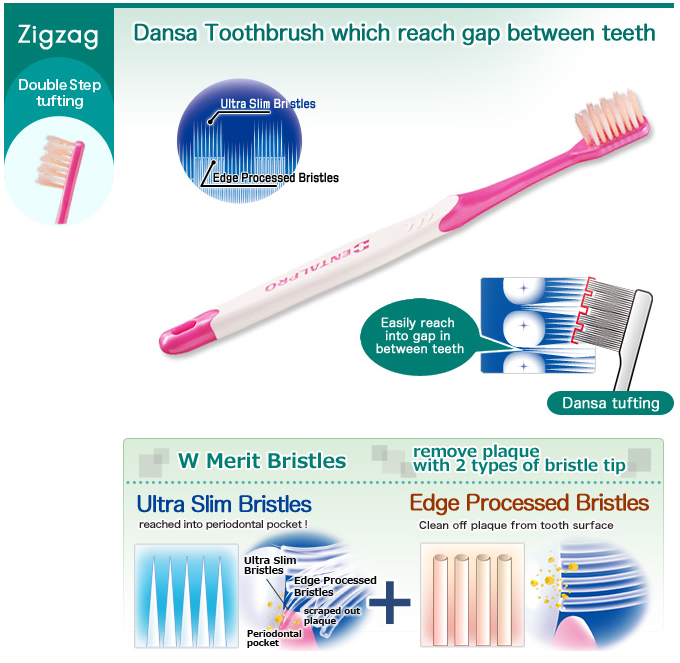 Prevent breeding of saprophytic bacteria in result of lack of draining of toothbrush after use. 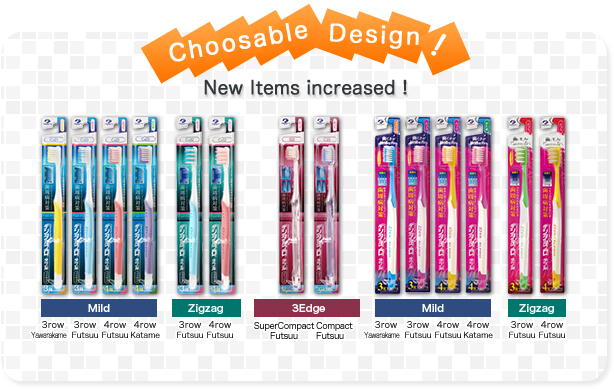 ＊Due to renewl, please understand that there is changes on specification & design etc without annoucement made.